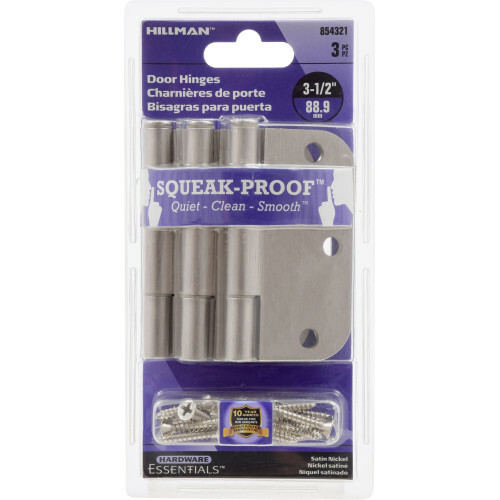 Residential - Rd Corner - 5/8"
Hardware Essentials Squeak-Proof Door Hinges are great for residential doors. 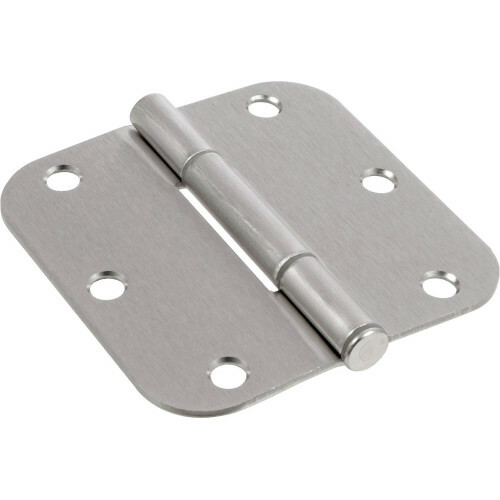 Ideal for apartments and houses, this whisper quiet door hinge ensures smooth operation. 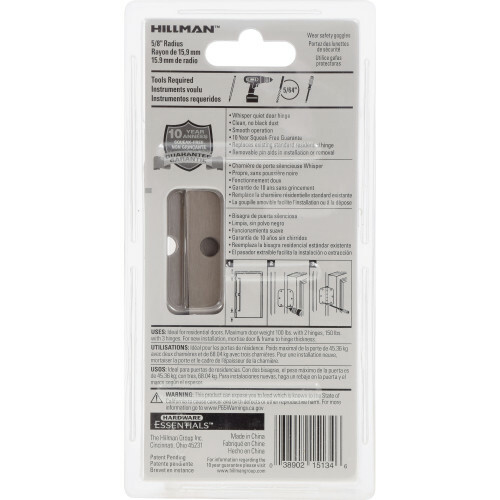 Removable pin aids in installation and removal. For new installation mortise door and frame to hinge thickness, drill screw holes and install. When replacing existing standard residential door hinges: choose the door hinge that fits the existing mortise and screw locations. Available in different finishes.